You might think it’s pretty easy to remove a post from Facebook, but actually, there are a few caveats to the process. In some circumstances, you aren’t actually allowed to simply remove a post. In others, you might need special credentials to be able to remove a post yourself. Let’s look at the various scenarios you might encounter. You made a post on Facebook, and now you’ve thought better of it. Maybe it didn’t get any traction and you want to try again. Maybe it gained too much attention and now people are bashing you about your opinions or the content of the post. Deleting the post is probably too little too late – the Internet is very good at taking screenshots of times when brands put their corporate foot in their corporate mouth – but it’s still an option. If you’re a personal user using a personal profile and you want to delete a post you made on your own timeline, the process is pretty easy. Just go to your timeline and find the post, or go to the post directly. Look for the V icon in the upper right corner of the post box, it should be faint gray in color. You should see a number of different options. 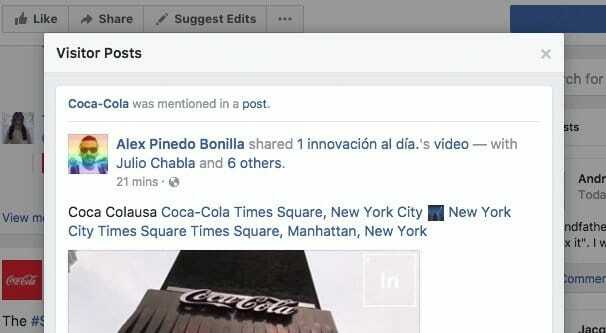 You can save the post, edit the post, change the date of the post, embed the post on another site, turn on or off notifications for the post, hide the post from your timeline, turn off translations for the post, or delete the post. Simply click “delete” and a box will pop up. That box informs you that if you delete the post, it will be gone entirely, and that if you prefer to just remove some of the information – like if you wanted to keep the comments on the post, but not a typo you made in the post itself – you can edit the post instead. Click to delete the post and it will be gone. If you’re a personal user using a personal profile and you want to delete a post you made on someone else’s timeline, the process is basically the same. Go to their timeline and find the post, or go to yours and find where the post shows up. Then look for the V icon in the corner; it will have mostly the same options. Find the one labeled delete and remove the post the same way you did above. As an alternative to both posting on your own profile and posting on someone else’s profile, you can go to your profile and click on the “activity log” button. This will take you to a direct chronological record of all activity on your timeline. 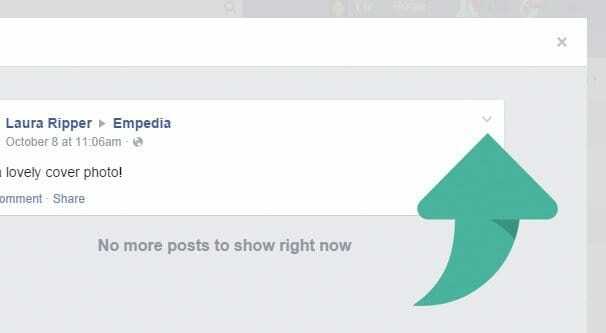 From here, you can delete any post you have made, be it on another profile, a Page, or your own profile. Find the post and click the pencil icon to the right of it, and click delete. If you’re a professional user using a Page, rather than a profile, you will not generally be able to post on other people’s profiles or other pages directly. You can’t remove a post you haven’t made, so that aspect is covered. On the other hand, you can and should be making posts to your own timeline all the time. Therefore, you will need to be able to remove them if the need should arise. Thankfully, this is basically the same process, with an extra step and some caveats. First of all, there are six possible roles you might have with a page. These are Live Contributor, Analyst, Advertiser, Moderator, Editor, and Admin. ONLY the Editor and the Admin can create, edit, or delete the posts that have been made as the Page. If you are not an Editor or one of the Admins of the Page, you will not be able to delete a post the Page has made. If you are an editor or admin for the Page, you will need to first view the Page feed. To do this, click the downward-pointing triangle in the top navigation bar of Facebook, up there in the blue next to the notifications and settings buttons. The name of the Page you want to edit should be there; click it to be brought to the Page itself. Alternatively, simply navigate to the Page feed. Once on the Page feed, find the post you want to remove. Like above, there will be a V icon in gray in the upper right corner of the post box. Click that and you will see the options you have available to you. You can save the post, pin the post, edit it, change the date, toggle notifications, hide it, disable translations, or delete it. You can ban the user as well as removing their comment/post. It’s worth noting that hiding a post might be useful in some cases, rather than simply deleting it. For example, if you wanted to post the post later, and forgot to schedule it, you can hide it and un-hide it later. Hiding a post makes it invisible to everyone except the editors and admins of the page, who have the ability to un-hide it. However, if you still prefer to delete it, just click delete and confirm the removal of the post. Sometimes you want to remove a post from your timeline that you didn’t make. As a personal user, other people can leave a comment on your profile, which notifies you to look at it. As a Page, people can leave a post on your Page that may or may not be visible, according to their privacy settings, to the rest of your audience. All of these can be potentially deleted. As a personal user, if you want to remove a post someone else made on your profile, you can follow the same steps as before. Go to your personal profile’s timeline and find the post. You will eventually find it, though depending on how old the post is or how Facebook decides to sort posts today it might be a bit lower on your feed than you thought. Once you find it, you can click the V icon and delete the post. In case you forgot, or you skipped everything to get to this paragraph faster, the V icon is in gray and is in the upper right corner of the post. Interestingly, the method in the previous section, where you go to your activity feed and remove posts, only works for posts you have made. A post someone else has made on your timeline cannot be removed from the activity feed, you can only hide it or mark it as spam. Additionally, this only works for posts actually posted on your feed. If the post shows up on your feed because you were tagged in it, but it’s not actually on your profile, you can’t remove it. The best you can do is remove the tag, which makes it stop showing up on your feed. As a Page, if a personal user leaves a post on your Page feed, it will show up in the “visitor posts” app. Some pages don’t show this app, while others do. For example, if you go to the Page for Coke, you can see a box on the right bar with “visitor posts” in it. However, if you go to the PC Gamer Page, you won’t see that box. In order to remove a post made to your Page, you need the right Page role. As expected, Admins and Editors both can remove posts, but Moderators are also able to remove posts made to your Page by other people. You can also simply hide the app and make them all invisible, though that might hurt your future engagement. If you are a personal user and you want to remove a comment you made on a post, you can do so easily. However, you do need to actually find the comment, which can be tricky if you don’t know specifically where it was. Either you can find the Page or profile, then find the post, then find the comment, or you can go to your activity feed and find the comment directly. If you approach from the activity feed, you can find the gray pencil icon to the right of the post you want to remove and click it. You can then click to delete the post. If you go to the post directly, you won’t find a pencil icon or a gray V icon anywhere. Instead, you will only see an icon when you hover over the post, and the icon will be a gray …, or ellipses, which you would be more familiar with if you’re a frequent mobile user. Clicking this will bring up your possible options, which will generally just be edit and delete, or sometimes just delete. Generally, whether or not you can edit it depends on whether or not anyone has liked or responded to the comment. This prevents you from trolling people by racking up a ton of likes on a post and then editing it to say something offensive. As a Page, you need to find the post that you left a comment on. There’s no equivalent to the activity feed for Pages, so it can be tricky if you have a large and very active post that you want to remove a specific comment from. Once you find the appropriate comment or sub-comment, simply hover over it and look for the gray … that was mentioned above. Click that and you will have the edit or delete options you normally would. Once more, of course, you need to be an Admin, Editor, or Moderator for the page in order to remove comments. If you’re a personal user and you made a post, and someone else left a comment on that post that you want to remove, you can remove it the same way you can remove a post you left. You will need to find the specific post you want to remove, but from there, just hover over it and look for the … icon again. You can delete the comment or you can embed it from there. If you’re a Page, the process is exactly the same. Find the comment on your post and click the … icon to see your options. 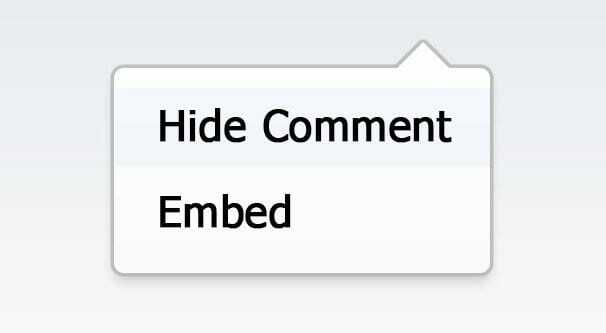 As a Page, you can choose to delete the comment or you can hide it. There’s an actual use for hiding a comment in this case. If you choose to hide the comment, it becomes invisible to your audience as a whole, however the original poster and their friends can still see it. 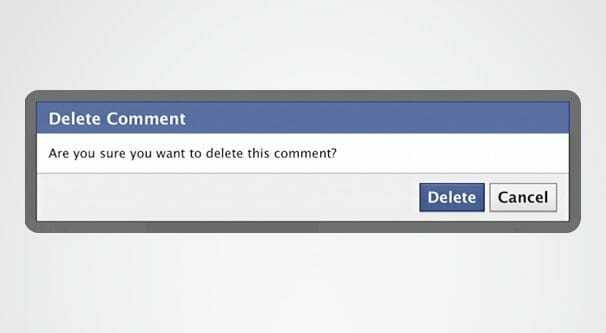 This can be useful if you have a persistent troll on your page; if you delete their comment, they are likely to make another. If you ban them, they might make fake accounts to keep harassing you. However, if you simply hide their comments, they might never know they’re invisible. If you are not the person who posted the comment, and you are not the person whose post the comment was made on, you cannot remove the comment. You have two options. If you don’t want to see the comment, you can click the drop-down and choose “hide.” This will hide the post from your visibility, though it will not affect the visibility of the post for anyone else. The other option is to report the post. When you report a post, the report goes either to the Page owner or to Facebook, depending on the context. 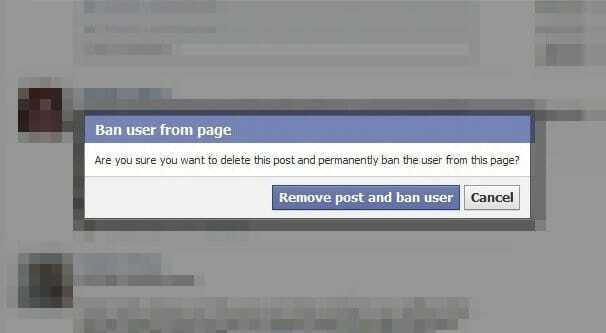 If you report a post to a Page owner, the Page owner can choose to remove it or ignore it, at their leisure. If you report a post or comment as spam to Facebook, Facebook will review the comment or post and determine if it violates one of their rules. If so, they will remove it. You will receive a notification in your messages and in your security center when Facebook takes action or declines to take action. As a final note, none of this is concerned with reviews of a business Page, which are a whole other thing. Negative reviews can be spam and can be removed, but we covered that topic over here. That, as far as I know, is every possible permutation of a post or comment that you could try to delete. If I missed one, let me know!